Supercharge your zen (pdf) The benefits of yoga and meditation are plentiful, but they take years of dedicated practice to achieve. Could a zap to the brain offer a shortcut? I had previously posted this in a comment. Sourced from the original study. Each 20min E- meditation visit consisted of one of three randomized stimulation conditions (sham, active 1mA, or 2mA; anode – EEG F8, cathode – left supraorbital) delivered via a Chatanooga IontoTM stimulator and 2in x 2in sponge electrodes. Stimulation was synchronized with a guided mindfulness recording (recorded by ELG) lasting 20min. Which is what’s depicted in the photo below. 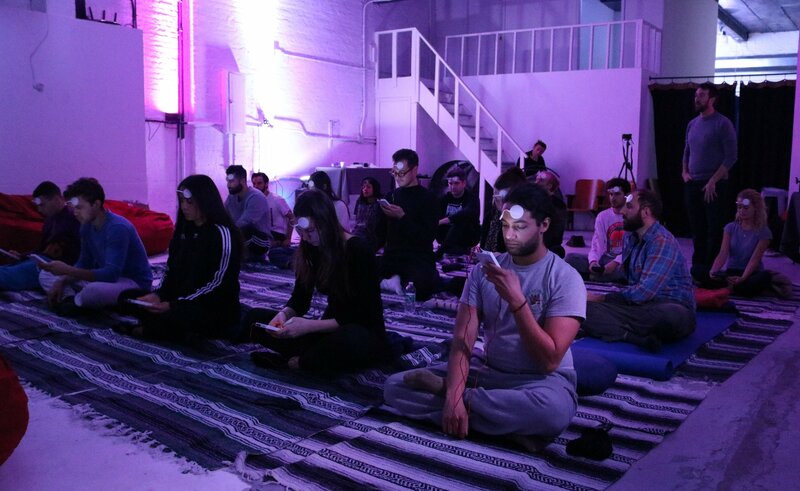 Full article: Is e-meditation wave of the future? 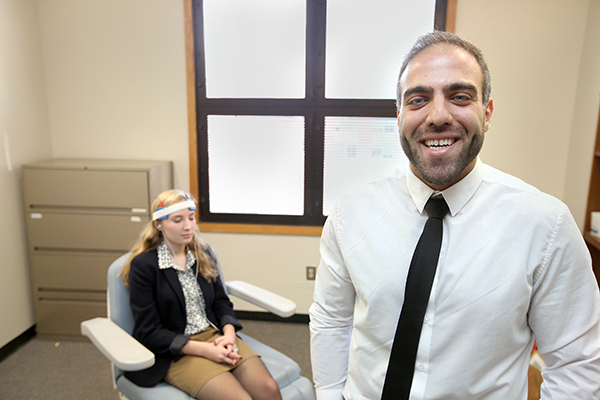 MUSC Research Assistant Caroline Summer is in background, demonstrating the tDCS device. 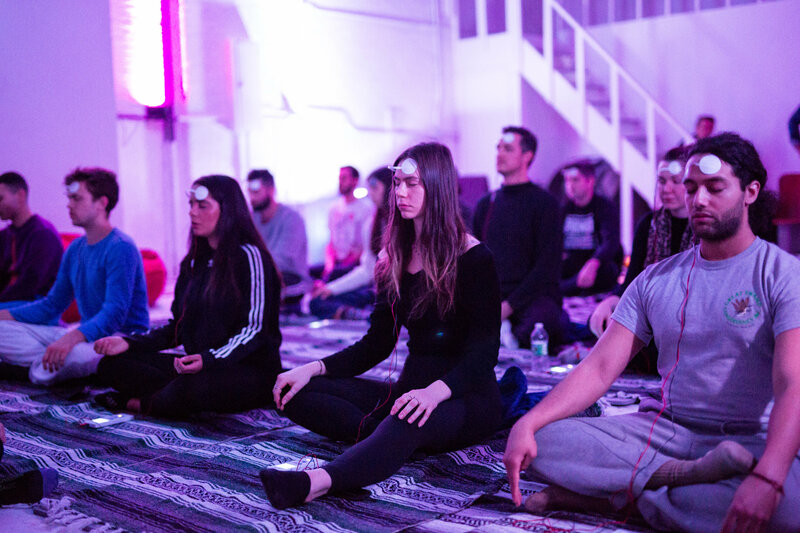 Badran, who used two different mindfulness scales and mood rating scales on 15 participants in a double-blind study, found that feelings of calmness increased almost 2.5 times in the group receiving active tDCS-paired meditation compared to the placebo. Individuals receiving the sham stimulation had just a 5 percent increase in calmness rating.